The Gordo 10' or SUP - Goosebay Sawmill and Lumber, Inc. 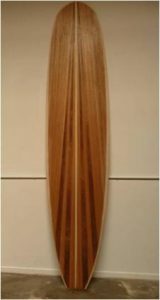 The Gordo catches waves easily and is stable enough to be used as a smaller Stand Up Paddleboard (SUP). But just because its big doesn’t mean it’s clumsy. The rails have been pinched slightly to give it agility and performance.